This week Awesome Stories brings you feeding souls, gratitude, and courage. MacKenzie Hinson is a very special young woman. She started the Make A Difference Food Pantry in Mt. Olive NC at age 10 as her way of giving back to the community for helping her family through a hard time. At 13, she is incredibly driven and compassionate about what she’s doing and why. Kenzie is very clear that her mission is more than feeding people. It’s all about how they make people feel; treating them with love and compassion. A common theme among her patrons is how they don’t feel bad or shame when they come to her pantry, unlike when they go to most pantries. I have to admit that our local pantry where I volunteer could do more to make people feel good, not just give them food. Besides running the pantry, she provides mobile meals, hurricane relief, and is an advocate for ending hunger! What if gratitude is the key to turning our lives around? Kristin Meekhof makes a strong case that gratitude is the answer to every question. Read this touching story about Kristin and her experiences caring for her dying husband Roy. He was a model of gratitude, even in the face of his cancer, still finding ways to be grateful for what he had in life. She recounts a day where they met a young mother and her child with cancer. Kristin was a mess, but Roy found the courage to be grateful. She recounts how her life changed because of his death and because of her husband’s beautiful acceptance of his death. Kristin co-wrote a book about widows, grieving, and acceptance called A Widow’s Guide to Healing. The core message is to manage your life in micro-moments, accept loss, and change our relationship to death. In this article on vulnerability, Brene Brown reminds us that we can be comfortable or courageous, but we can’t have both at the same time. She believes vulnerability is the courage to show up, even when we have no control over what is happening in our lives. I find too often in the last decade I’ve chosen comfort. I quit my most recent job (that’s 3 in the last few months) and have been told I’ll likely have to find a new place to live by my landlord. So it appears, I have an opportunity to make some changes. I’ve considered everything from property caretaking, travel jobs, migrant work, and travel. I’m wondering if I have the courage to restart my life at age 60, adding some adventure, growth, and courage into my life. I know I’m tired and bored with my life, yet afraid to make any real changes. 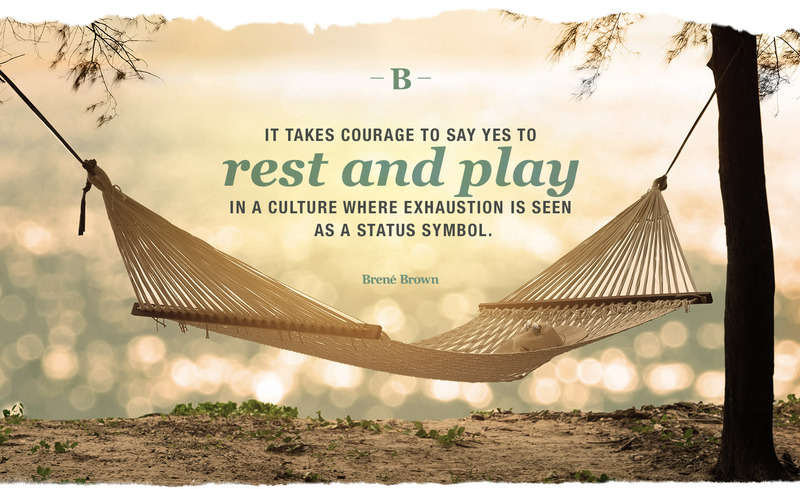 Brene Brown reminds us that vulnerability requires being open, risking failure, courage, and getting back up. May your week be full of courage, gratitude, and acceptance. Even a child shall lead them. Blessings to all the kids and young people making a positive difference in the world. I can sympathize with you about wanting comfort. I’ve been working in a toxic work environment for ten years. Finally in August 29th I will retire. It’s been rough dealing with workplace bullying, drama, hateful supervisors and managers but I knew that I needed the pension as well as my medical and dental benefits which I will take with. Many times over the ten years I’ve been crying and in tears from abuse. As a single woman with no immediate family knowing that my brother Stephen who has Autism depends on me I endured the suffering. In this life we go through hell always hoping that life will get better. Hope and faith are what keep people going under the worst conditions. I’m sorry for your challenges DeBorah. Kudos on your dedication to your brother and upcoming retirement. I pray the children will lead us back to a more compassionate world. You’re most welcome! I hope you have an inspired week. Wishing you the courage to get what it is you need Brad. It is so tempting to chose comfort – I know that I would live differently if I didn’t depend on some of the comforts I have. Kenzie is an amazing role model – oh to have that sense of purpose at that age! Thanks Andrea and yes to have that kind of clarity of purpose! I could use some courage and/ or inspiration as to what to change in my life. I just know I’ve gotten stagnant. The trick is enough stretch to grow versus chaos! I love that story about the Make a Difference pantry. It’s pretty incredible what we humans can do when we really feel passionate about a cause. Gratitude has shifted my life. I read The Magic a few years ago and have put it into practice in my life. Even the most mundane things give me reason to smile now. As far as comfort and courage…well…in my own life, I know nothing good happens in the comfort zone. Life becomes mundane…day to day. I suppose growing up in a nursing home around death and dying sort of helped shape my perspective of death. I came to view death as a great teacher. Along the way I forget the teachings sometimes, but in contemplating death, I began to really come alive. Something happens when you do that – or at least it did to me. For you, I wish I could reach through the screen and help you “fix it.” I wish I could “be a sage” and tell you something that would allow you find the answers to the questions you seek. But I do know one thing: I think you’re on the right track with getting out of your comfort zone. Understanding that the universe ultimately has your back – that whatever lessons you learn along the way, whether easy or harsh – ultimately help you to become the best version of yourself is good to remember, I think. Hi Cynthia. Thanks for the kind and compassionate ideas and blessings. Yes, I need to get out of my ruts/ comfort zone, but don’t really have any clarity of direction. I admire that you’ve tried so many different things which helps you fine-tune your path and passions. I know things will work out and I would love to have more clarity and passion. I’m delighted that you look forward to these stories Diana. They bring me hope too, especially with young people like Kenzie! They’re a wonderful counterbalance to the news of the day. Great inspiration from these selfless individuals, thanks for sharing. Seems like change that’s been beckoning you is fully upon you. The universe has a way of throwing us in the right direction if we’ve not been acknowledging it’s subtle hints. Here’s hoping your courage pays off! Thanks Allie. I hope you have an inspiring week. You’re doing good work here, Brad. My hopes and prayers are with you. I believe good things are waiting for you on the path ahead. Awesome stories of service, gratitude, and courage from Brad at Writing to Freedom!